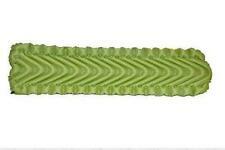 Klymit Static V - Green. Rolling up small for easy storage and portability, the Static V - Green can be inflated with 10-15 breaths. The Klymit Static V is great for ground or cot use, and for hammock sleeping. 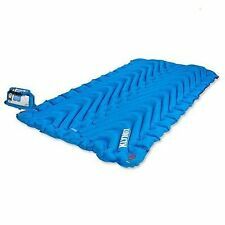 Klymit Static V2 Inflatable Ultra Light Camping Sleep Pad / Mat. Klymit Static V2 Inflatable Ultra Light Camping Sleep Pad. Klymit camping pads are revolutionary in that they mirror the human anatomy. Klymit Insulated Static V Lite Sleeping Pad. The ergonomic design and dynamic side rails cushion and cradle the body for a better night’s sleep. INSULATED STATIC V LITE. Colour: Orange and grey. Twist-Pull Valve: Secure and simple, our valve allows for inflation in as few as 10 breaths, and opens wide for rapid, complete deflation. Klymit Static V Luxe - Stone Grey - Extra Large. The Klymit Static V Luxe is the newest addition to the Static line of sleeping pads. At an incredible 72 cm wide it is a luxurious amount of rolling room for one. The chambers are filled with light, durable Klymalite synthetic insulation to add another layer of protection from the cold ground, and dynamic side rails cradle you comfortably on your pad for a more restful sleep. Klymit Insulated Static V Recon Inflatable Sleeping Mat - Compact Lightweight for camping or on the trail. The Klymit Insulated Static V is a lightweight camping pad using body mapping technology with all season warmth and comfort now in a military friendly colour. Klymit Insulated Static V Orange Inflatable 4-Season Camping Pad Mat - Size Regular. Klymit camping pads are revolutionary in that they mirror the human anatomy. The Klymit Inertia camping pads comfortably support all the places your body touches a sleeping surface. Trending at AU $200.67eBay determines this price through a machine-learned model of the product's sale prices within the last 90 days. Fits all regular size Static V sleeping pads. Fabric Soft 30D Stretch Polyester with Soft Synthetic Fill. Most of these options can be chosen in checkout. Protects your pad from dirt and sweat. We believe in providing the right product for the intended use at the best quality available at the most competitive price. Klymit Insulated Static V Camo Inflatable 4-Season Camping Pad Mat​ - Size Regular. Klymit camping pads are revolutionary in that they mirror the human anatomy. The Klymit Inertia camping pads comfortably support all the places your body touches a sleeping surface. Trending at AU $151.58eBay determines this price through a machine-learned model of the product's sale prices within the last 90 days. KLYMIT Insulated Static V Luxe – Red. Our luxury sleeping pad just get even better! Our Insulated Static V Luxe is super comfortable and extra warm. Thirdly, insulated with light and lofty Klymalite™ synthetic insulation you’ll have an added layer of winter warmth always. With the Insulated V Ultralite™, you can count ounces and still get it all: Klymalite™ lofted synthetic insulation, a roomy V-Chambered surface to sleep on from head-to-toe, and a price that’ll make you smile. Perfect for couples camping. 119cm wide - its over double the width of our popular Static V. Rugged material is great if you want to sleep on the ground. Fabric: 75D polyester. R-Value: 1.6. 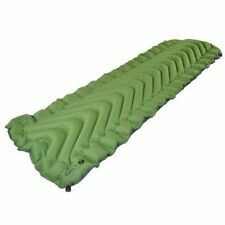 Klymit Static V Recon Inflatable Camping Sleeping Pad / Mat. The Klymit Static V is a lightweight camping pad using body mapping technology at an entry level price, now in a military friendly colour. Part#: 06SVGR01C. Rolling up small for easy storage and portability, the Static V - Green can be inflated with 10-15 breaths. The Klymit Static V is great for ground or cot use, and for hammock sleeping. KLYMIT Insulated Static V – Orange. Looking for winter insulation and all season comfort?. An outstanding R-Value of 4.4 provides you with the thermal comfort necessary for the colder months. Sleep outside comfortably knowing that our dynamic side rails will cradle you comfortably on your back country sleeping pad for a more restful sleep. KLYMIT Static V Junior Ultra-Lite Kids Sleeping Pad The lightest kids sleeping pad on the market! This is especially great if you’re taking your little troopers hiking! And secondly, the dynamic side rails keep you centred on the pad. When we set out to make an ultralite pad, we knew that sacrificing comfort is never an option. That’s why the V Ultralite SL™ retains ample width even as it tapers. And secondly, like all Static V™ pads it features lofted air pockets, and is supported by dynamic side rails. A Luxurious sleeping pad for luxury on the go! Looking for a luxurious sleeping pad that has all the features without breaking the bank?. Then our Rugged Static V Luxe if just for you. Deep Weld Patterning: Unlike traditional pads that flatten the bag’s fill, Deep Welds create expansion zones that allow your bag to fully loft beneath you for improved thermal comfort. KLYMIT V Sheet for Static V Sleeping Pads Ultra-Lite Stretch Polyester Camping A new kind of camping sheet! Our V sheet fits all regular size Static V sleeping pads! Save your sleeping pad from all the dirt and sweat from your adventures! KLYMIT Static V – Green. The Klymit Static V is a lightweight sleeping pad using body mapping technology at an entry level price. Comfortable, lightweight, and rugged performance at an entry-level price. The Klymit Hammock V is the perfect sleeping pad for any trip where a hammock is involved. Fit's all standard hammocks, either single or double wide. The side rail wings, deep valves and flush flat valved will keep your body wrapped up and create a barrier from the cold. With the Insulated V Ultralite(TM),, you can count grams and still get it all. This ultra lightweight pad uses Klymalite(TM), lofted synthetic insulation to keep you warm, and a roomy V-Chambered surface to minimise weight whilst maintaining comfort. Generous comfort is combined with unmatched durability for the most rugged expeditions. The scales are strong enough to perform in the most demanding outdoor conditions, yet are flexible enough to fold and roll for compact storage. Like all of the other Klymit camping pads it features an easy-to-use push valve allows for quick inflation and deflation. Body Mapping: Klymit camping pads are revolutionary in that they mirror the human anatomy. KLYMIT Luxe Pillow Grey Ultra-Lite Ultra Comfortable Inflatable Pillow Luxury Pillow perfect for fussy campers! Then we have the solution! Our luxury camping pillow solves the problem that everyone likes a different kind of pillow. KLYMIT Quilted V Sheet for Static V Sleeping Pads Ultra-Lite Polyester Camping A soft camping sheet perfect for outdoors! Our regular camping sheet is now softer! Fitting all our regular sized Static V sleeping pads we’ve taken the V sheet to the next level. The popular Klymit Static V goes double-wide. This couples camping pad has ample room for two people to sleep comfortably side by side. Rugged material is great if you want to sleep on the ground. The couples camping pad wide enough to share! KLYMIT Static V Luxe – Blue / Stone Gray. Looking for a luxurious sleeping pad that has all the features without breaking the bank?. Then our Rugged Static V Luxe if just for you. 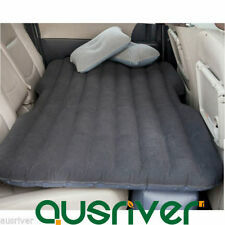 A Luxurious sleeping pad for luxury on the go! When we set out to make an ultralite pad, we knew that sacrificing comfort is never an option. That's why the V Ultralite SL(TM), retains ample width even as it tapers. And secondly, like all Static V(TM), pads it features lofted air pockets, and is supported by dynamic side rails. An excellent choice for backcountry travellers who don't feel the need to abandon all luxury, the V2's body-mapped ergonomic design, oversized sleeping area and dynamic side rails cushion and cradle the body for a better night's sleep. Easy-to-use push valve allows for quick inflation and deflation. We are here to help! BODY-MAPPED DESIGN provides comfort and support at key pressure points while eliminating unnecessary material that can add weight and bulk. 15- 20 breaths Sleeping Pad, Hammock V, Grey. FIRST AIR PAD DESIGNED SPECIFICALLY FOR ALL HAMMOCKS: Gives the sleeper 180 degrees of insulation, significantly reducing the amount of lost body heat. We are here to help! Color: King's Desert Shadow. EASY-TO-USE push valve allows for quick inflation and deflation. We are here to help! General Interest. The Klymit Insulated Static V is a lightweight camping pad using body mapping technology with all season warmth and comfort. Like all of the other Klymit camping pads it features an easy-to-use push valve allows for quick inflation and deflation. New for 2013! A cut-away design sheds unnecessary bulk while effectively capturing your body's heat, while the built-in pillow and side rails add a touch of luxury to your backcountry sleeping experience. The Klymit Inertia Ozone sleeping pad has been carefully crafted to support fast moving outdoor adventures. This sheds significant weight without sacrificing comfort. 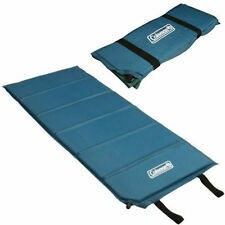 It also creates expansion zones that allow your sleeping bag to fully loft beneath you for greater thermal comfort. Klymit does it again with the Intertia X ultralight sleeping pad. 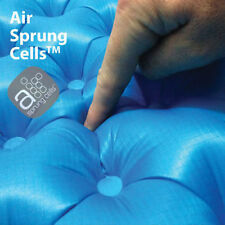 Features include body mapping, custom pressurization and Loft Pocket Technology. 72 x 18 inches 3-season pad Includes patch kit, stuff sack and pump 9.1oz Super packable New.